Most Kraków hotels change their rates according to the season. Prices are highest in the summer (late June to the end of September) and around Christmas in December. Rates are per room (ie, not per person) for twin or double rooms. Exchange rates are as of January 2018. A clean, functional budget hotel, Arka Kraków is good value for the price conscious, although the location might be a little inconvenient. A no-frill, budget hotel tucked into a corner of Kazimierz, the Green is friendly, functional, and a little dated. Cheap and functional, Hotel Alf is off the tourist trap but has good transport to the main sights. Suited more to exploring the local countryside than the heart of Kraków, Hotel Bona is a good deal, especially for drivers. Hotel Felix is a minimal, budget hotel in the historically fascinating area of Nowa Huta, to the north east of the Kraków. Although remote and dated with few facilities in the area, Hotel Krystyna has spacious rooms at a budget rate. You get what you pay for with Hotel Ruczaj’s ageing rooms, located just over 2 miles outside Kraków’s Old Town. Hotel Start’s no-frills rooms and inconvenient location aside, this is a cheap place to stay and the staff are very friendly. Even though the facilities are good, Hotel Sympozjum’s location means it’s possible to get a room at a budget price. Basic, but comfortable and good value for money and right in the middle of Kazimierz, as the name suggests. One of Kazimierz’s most popular apartment-style hotels, Miodosytnia Aparthotel has idiosyncratic touches and a tranquil atmosphere. A functional base for the cost conscious, Quality System is clean and well-maintained by helpful staff, though 2.4 miles from the Old Town. Good quality budget hotel in the quiet Nowa Huta neighbourhood, Hotel Grand Felix is a 25-minute tram ride from the centre. Plush rooms and probably the best location in Kraków, Hotel Wentzl is extremely reasonable for the incomparable experience it offers. A recommended all-rounder, Kossak is everything you would expect from a modern hotel, with a favourable location. Classically furnished with comfortable beds, the Wielopole Hotel is a great 3-star choice for couples on a romantic getaway. Hotel Galaxy overlooks the Vistula river, a mile away from Wawel Castle, and is modern and clean with great spa and pool. Qubus is a large, modern, and fully-featured hotel with a top floor pool and excellent breakfast. A strong mid-priced choice. Great all-round value, 3-star hotel, in an impressive 19th-century building, Hotel Maksymilian is a 10-minute walk from the main sights. A slick, modern establishment with river views and good health facilities, Niebieski Art Hotel and Spa is medium sized and quiet. A friendly, quiet and clean hotel in the heart of Kazimierz, the Eden specialises in traditional Jewish spa treatments. Located on the edge of fashionable Kazimierz, Aparthotel Leone is stately with contemporary interiors and professional staff. A plush mid-range hotel with baroque charm, Hotel Amadeus is well located and serves an outstanding breakfast. Hotel Pod Wawelem has some of the best views of Kraków thanks to its excellent location right at the foot of Wawel Hill. A cosy mid-range hotel in Kazimierz, Hotel Ester has big, comfortable beds and excellent Polish and Jewish food. Though it has some historical features and great views of Grodzka Street, some of Hotel Rezydent’s rooms are mixed. A renovated 19th-century palace, close to the Main Market Square, Ostoya Palace Hotel brings a classic old world feel. In an ideal location to the west of the Old Town, Hotel Fortuna offers traditional Kraków at a reasonable price. A good, 3-star all rounder, with enthusiastic staff and good food, Atrium Hotel is in a quiet street yet very close to the Old Town. A modern hotel in an attractive building, the Golden Tulip is a smart base for exploring, with impressive breakfasts to start the day. Hotel Santorini, in Nowa Huta, has well-designed rooms and is excellent value, though all the food is Greek. A good value hotel to the south of Kraków, Hotel Kontrast is clean, peaceful and functional, but personal transportation is essential. In a quiet area just outside the Old Town, Hotel Logos is reliable, mid-range accommodation with excellent staff. There’s a touch of faded grandeur to Hotel Pollera’s Art Nouveau interiors, and a great location for the price. Tucked just off the beaten track and good value, U Pana Cogito Hotel is a peaceful Modernist building in quiet gardens. Neohotel Airport, as the name implies, is a good transit hotel with some interesting split-level rooms and an excellent breakfast. The grand exterior and classical European style make historical Hotel Polonia an attractive choice in a convenient location. Hotel Batory Annex is a clean and simple establishment away from the tourist hubbub, but within walking distance of most attractions. With nice gardens and indoor pool, Hotel Orient is a better option for the nearby EXPO exhibition centre, rather than sightseeing. Mid-priced Hotel Jan is a beautiful old townhouse, at the very heart of Kraków’s Old Town, with modern, cosy rooms. Hotel Perla is clean and modern, with outstanding staff, but it is over 4 miles away from Main Market Square. Hotel Leopolis is roughly 3 miles from the Old Town, but has good transport, and the hotel is comfortable with good food. Hotel Justyna is reasonbly priced, though away from the city centre and perhaps more used by Poles than tourists from overseas. Completely unique and sometimes eccentric, Hotel Alef is full of period furnishing and personal touches. Hotel Demel’s friendly staff compensate for the uninspired rooms and location. Major is a value-for-money 3-star hotel with good food, just over two miles to the north east of Kraków Old Town. It’s possible to pick up a bargain for the small and somewhat dated Hotel Panorama, located in southern Kraków. A few miles out from the main Kraków sights, Optima Osrodek Hotelowy is good value and optimised for a good night’s sleep. Hotel Korona has cosy rooms on the south side of the Vistula river, across the bridge from Kazimierz. Great value for money with some nice interior touches, Hotel Delta is a couple of miles from the main Market Square. Convenient for the airport and more rural side of Kraków’s wider region, Hotel Tyniecki has plenty of charm. Reasonably priced, clean and comfortable, with great staff and breakfasts, Krakus is 2.5 miles from the main attractions. The Campanile is a very modern, very clean hotel with strong business facilities, but also sits in an attractive part of Kraków’s Old Town. Karmel is a beautiful, ivy-covered hotel, offering great value, on a authentic cobbled street in Kazimierz. On the south side of the river, opposite Kazimierz, Hotel Wilga offers bright 3-star facilities and reliable eating. Well located in Kazimierz, with a hearty breakfast and hospitable staff, Astoria Hotel is a strong choice for sightseeing couples. Although a little like student accommodation, Hotel Polonez is a functional base with a generous breakfast. Located in Kościuszko Park, to the north of Kraków, Hotel Kosciuszko is a romantic trip back in time with elegant décor and a casino. A tiny hotel with only six large rooms, the immaculate Hotel Pugetow is equidistant between Main Market Square and Kazimierz. The Maltanski is an compact and attractive hotel with a lot of character, located on the western edge of Planty Park. Clean and economical, Hotel Wyspianski’s good location and helpful staff mark it out for serious consideration. Hotel Matejko is a simple but comfortable base, conveniently close to Kraków’s main railway station. A good value-for-money mid-range hotel, the Columbus Hotel is great for bars and restaurants in the Kazimierz area. 800 yards from Market Square, the Aparthotel Siesta apartments are basic but scrupulously clean and are good value for money. With exposed brickwork and wooden floors, Aparthotel Stare Miasto is unique and offers little touches of luxury. Superb location, too. Quaint and charming, if a little old fashioned, the Globtrotter Guest House is just a block away from Market Square. Somehow simultaneously opulent and cosy, the Art Nouveau Old Time Hotel has a dramatic atmosphere and great service. Close to the airport, the budget Hotel Fero Express is most useful as a business hub or stopoff before flying. As the name suggests, the Farmona Hotel is a business and spa getaway, with excellent food and a good base for families with a car. To the north-east of Kraków, Hotel Conrad is spacious and comfortable, and a good base for business or families with a car. A business and wellness hotel outside the town centre, Hotel City SM is good value for money, particularly the breakfasts. An attractive hotel with gorgeous interiors and impressive rooftop views of Wawel Castle, Copernicus is a superb 5-star hotel. A regal experience in the heart of Kraków’s Old Town, the Grand is a classical, 5-star hotel with plenty of old-world charm. A clean, modern hotel, close to Kraków Główny train station and the Old Town, Andel’s Hotel Cracow is particularly good for couples. A small, well-maintained hotel in an historic building, Hotel Elektor is in an excellent location for a romantic getaway. Decorated in the Art Nouveau style, the luxurious Gessler Hotel Francuski sits just inside the northern tip of the Old Town. The Sheraton Grand Kraków bears all the hallmarks of a 5-star hotel, though it might be considered a little outdated and overpriced. The Crown Piast is a reasonably-priced, 5-star hotel in beautiful gardens, a 10-minute drive from the centre of Kraków. Just opposite St Florian’s Gate, 4-star Polski Pod Bialym Orlem’s extravagant decoration is highly recommended. 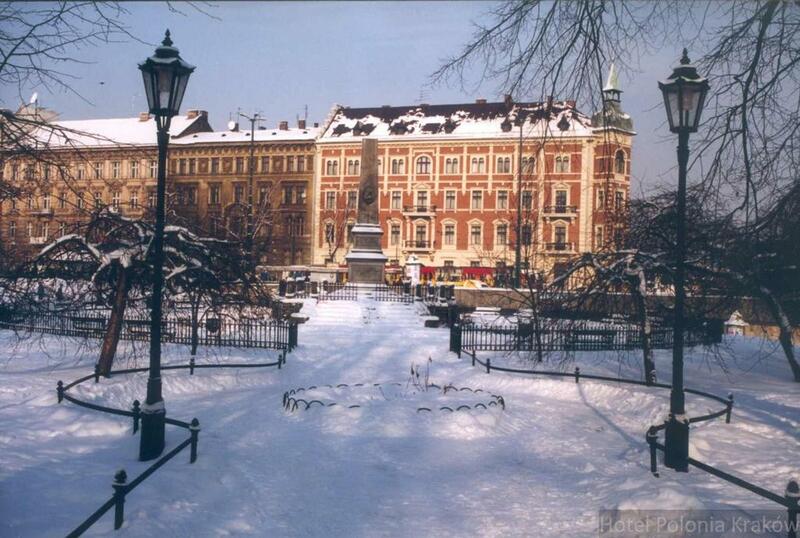 Befitting such a grand name, the regal Bonerowski Palace is an historic building sat overlooking Main Market Square. With views of the Vistula River and Wawel Castle, the 4-star Hilton Garden Inn has good business and fitness facilities. 5-star luxury in the quieter part of Kraków’s Old Town, the Grodek is a character hotel with high standards. A luxury hotel with a corporate feel, just outside the Old Town, the Holiday Inn Kraków is spotlessly clean with very helpful staff. The location, restaurants and top-class bar mark the Radisson Blu as a luxury hotel, with little 5-star touches in the rooms. Wawel is a small hotel with the personal touch. It’s Old Town location and Art Nouveau decoration are easy to fall in love with. Perched on the edge of Kazimierz, Queen Boutique Hotel is a stylish and spacious with excellent food and customer service. In a great location, just outside Kraków Old Town, Amber Boutique Hotel is elegant and comfortable with very attentive staff. Extremely friendly staff and an excellent Kazimierz address make the boutique Spatz Aparthotel a favourite with couples. A luxury boutique hotel right in the Old Town, Stary is one of the most stunning and individual places to stay in Kraków. If you’re looking for smart apartment-style accommodation, Venetian House Aparthotel is probably the best choice. Great value, self-catering apartments just outside Kraków’s Old Town, the Crystal Suites are well-run by excellent staff. A clean, quiet and tidy mid-price hotel, just a little off the tourist trail, Batory Family Hotel is better for couples than those with kids. Roughly a mile from the Old Town, Novotel Kraków Centrum is a strong choice for families and offers good value. Very modern apartments, outside the city, Vanilla Aparthotel is good for families with cars or business holidays.